Sometimes looking one’s best matters more to an individual than anything else; and sometimes looking presentable will be nothing. There always will be confusion on what to prefer more, style or class after all everyone wants the best for themselves. This example has just been taken to re-emphasize the necessity of getting that perfect look for your home décor. After all one’s home remains with him for the entire lifetime and who would not want it to be the best. The confusion and the analysis are well required too and the same goes with opting for a world class countertop for one’s home. If you’re looking out for class and style that will impress one and all on an equal level, you should look out for the range of Cosentino Quartz Countertops. The texture of these Cosentino Quartz countertops gives them an awesome, bold and a traditional look. The Cosentino Quartz countertops are inarguably one of the most durable choices for the kitchens. They are also one of the most eye-catching materials too and they are available in a wide variety of colors ranging from the bright red ones to the green ones, along with earthy colors like browns, creams and blacks and creams. But unlike the natural stones’ countertops which are generally mined these countertops are engineered in factories. Primary ingredient in such countertops is Quartz (about 94 percent) which is combined with polyester resins so as to bind it and help pigment to give it the desired color. Few of the designs of these countertops also use little amounts of metallic flaks or recycled glass or metallic flecks for the mix. The resins present in the countertops makes them a stain resistant and a scratch resistant product. Also they are nonporous hence they will never be needed to be sealed. Earlier it was believed that the quartz countertops lack variety and color patterns in them which were available with other stones. However, with these Cosentino Quartz countertops one can now be assured that there is a wide range of interesting patterns and huge color options available. 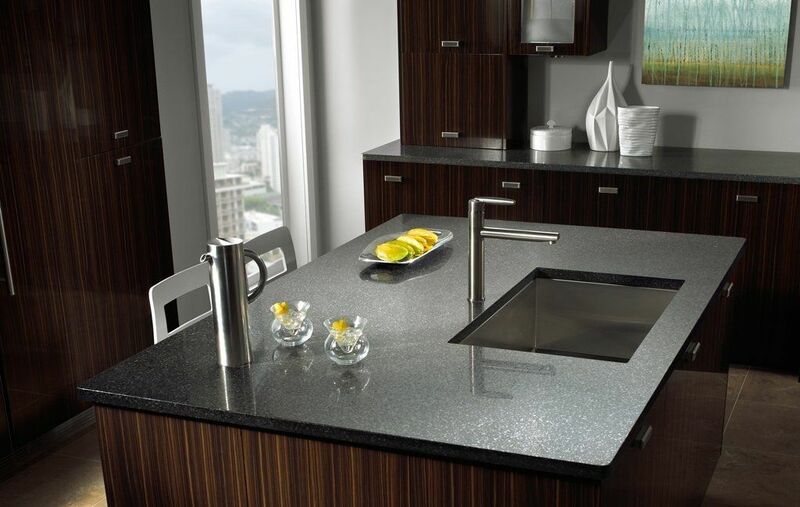 These countertops are available with polished, embossed finish, honed or the sandblasted finish. These antimicrobial low maintenance countertops are easy to handle and very affordable to possess too. These Cosentino Quartz countertops can easily withstand the high temperatures and are non-porous which means a person can remain tension free from the attack of the harmful microbes. Therefore, in this analysis it can be seen that these Cosentino Quartz countertops do have an edge over others. The wide variety in their shapes, durability, sizes, colors, finish and affordability has created an immense market for such countertops. Their presence in one’s home will definitely impress one and all alike.